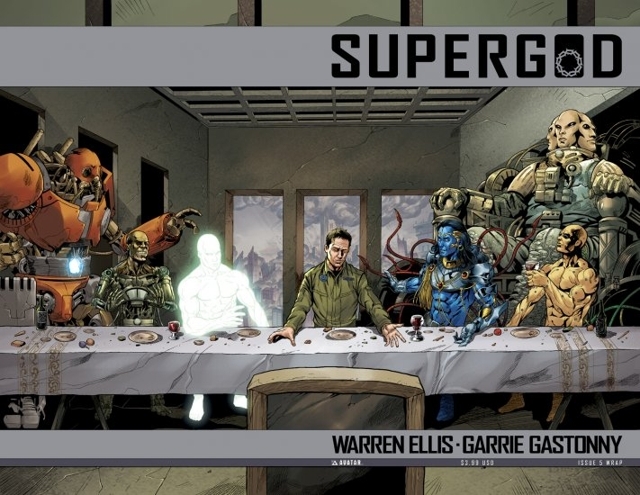 Supergod is a five issue comic published by Avatar Press, created and written by Warren Ellis (Red, Hellblazer) and drawn by Garrie Gastonny (Lady Death, City of Dust). Supergod is set on earth where various nations have created beings of tremendous strength and abilities for numerous reasons. A scientist named Simon Reddin is set as the narrator and tells one of his fellow colleagues how events came to be through flashbacks. He acts as a good narrator with his dry humor juxtapose with the bleak scenery surrounding him. Through the flashbacks we learn that the “gods” are unleashed on the world some sent to create and others to destroy. The story starts with Reddin in a destroyed London, talking on a headset to someone in America recording their entire conversation. Of the few comics I have read this one stands out. From the title you don’t get a sense of what is actually inside the pages of Supergod. The story classifies as a tragedy starring humankind as the role. Supergod calls into question humans and their view on religious deities, making you think this could be a believable future for our race. That is what is so haunting about it–once finished it will linger in your mind. In one point of the story when Reddin confronts Morgan Lungus about the god’s existence and what he is for. Morgan Lungus replies in my opinion the best summery of organized religion that I have ever read. It resonated deep inside me and made me realize what most of my early life had been all about. The story moves slowly at some points, but makes up for it later with certain scenes. The artwork is beautiful; the pages are filled with excellent work of detail. The characters are all drawn uniquely and you won’t feel as though they are just pallet swaps. Once the “gods” get to fighting is where the artwork shines. Battles have the space they need and are not condensed; making for an in-your-face feel. The “gods” are unique and some are given a bit more page time than others. Krisha – The Handsome Blue Indian God who is the savior for his country and how the power to build his how circuitry. Jerry Craven – The Military Man who was created to serve the U.S.A. more as a weapon than a soldier, built from the best cybernetics our country has to offer. Morgan Lungus – The British God birth from an accident and worshiped by many who study him. It is a giant three-headed fungus organism that rarely interacts with the humans. Dajjal – The Iraqi God who can perceive all of time and the power to create explosions. Maitreya – The Destructive Chinese god with a field that obliterates anything that is in its range. 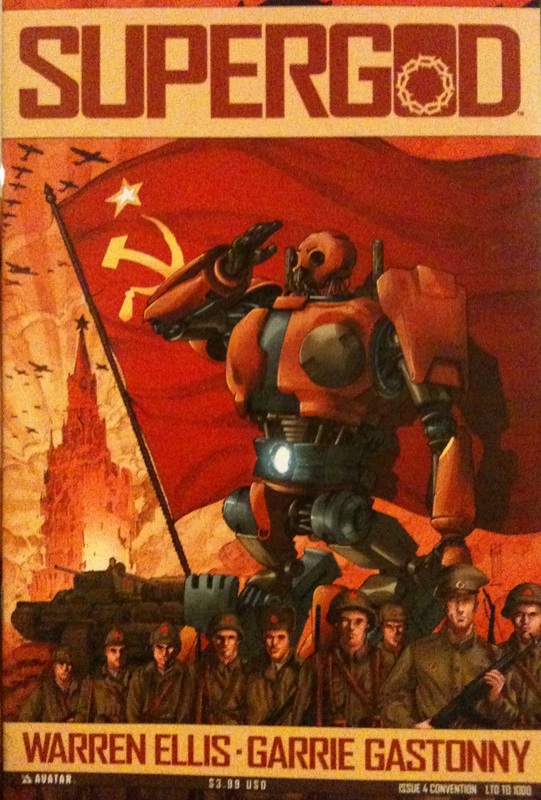 With five issues this means that it is a short read with no previous knowledge of past events or story arcs needed. This is why Supergod is a good first time read for anyone trying to getting into comics. 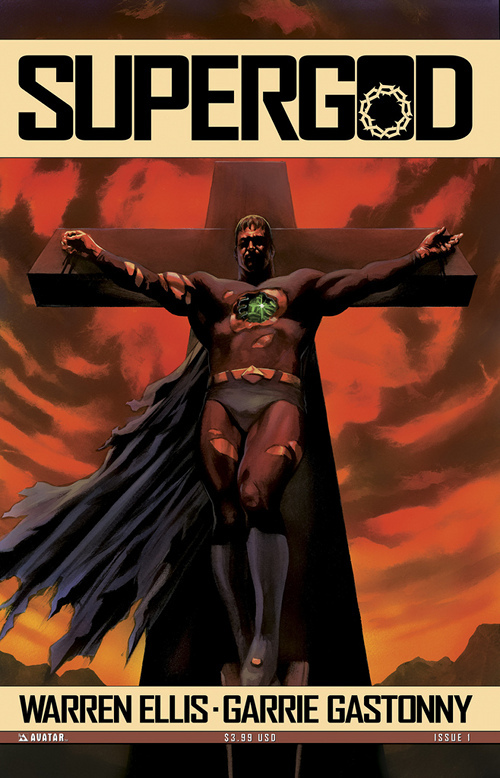 Supergod tackles the issue of religion which most comics won’t even touch for fear of fallout from religious groups. It is intelligent and philosophical; this comic doesn’t hold your hand when telling the narrative. It is truly and adult comic in terms of how deep it goes into the ideals of modern society. The covers are stunning with each god getting their own cover and some sharing. 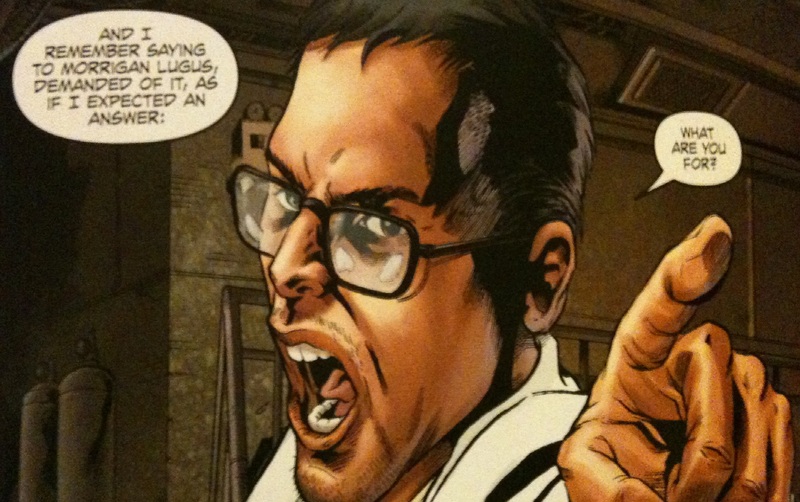 I only had a few qualms with Supergod, first off the author does not delve deep into the world that he created. I would have liked this to be an 8 issues or possibly 10 issue series with him explaining more about each “god”. There were also not enough fights in Supergod; they make a big buildup and then it is short (but still sweet). They could have added more fights between the different “gods” or at least make each fight longer. 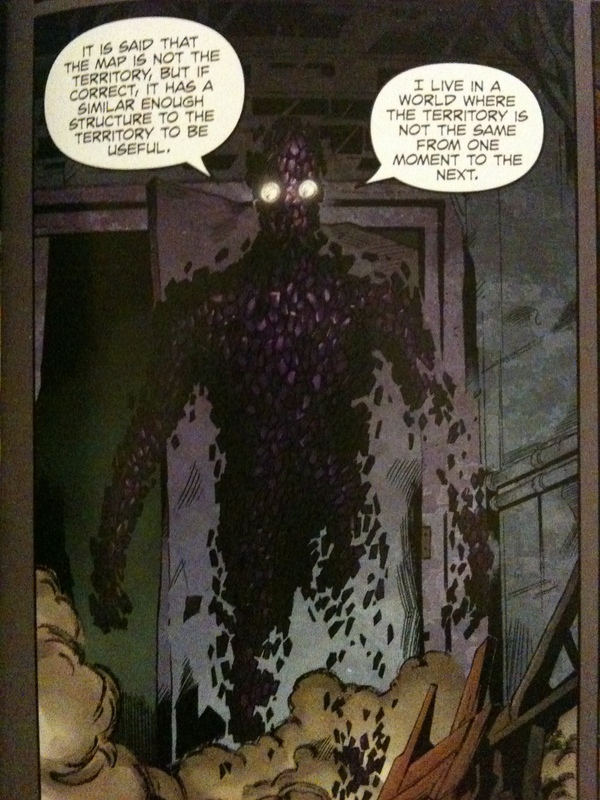 The final problem I had with Supergod is the ending; it felt a bit rushed and I don’t like how it turned out. That is not to say that this isn’t a good read by any means it is just my own opinion.